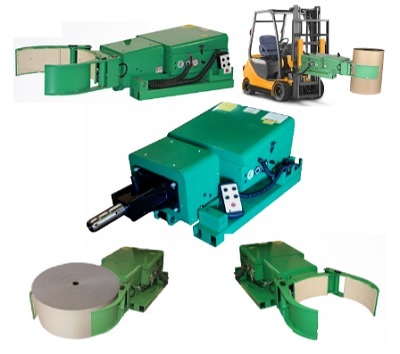 Makes every roll, coil & reel lifting job more efficient with less effort and increases your productivity. ASE’s line of battery powered hydraulic fork lift & stacker attachments make all your roll, coil & reel handling activities safe, cost effective, and extremely easy. Several options are available to choose from, based on your specific needs. *Consult “Weight vs Width ratio chart to determine if a BP attachment is right for your application.